Mary Anne continues her conversation with Anohni, former lead singer of Antony and the Johnsons, about her new album Hopelessness and why she chose to go solo. 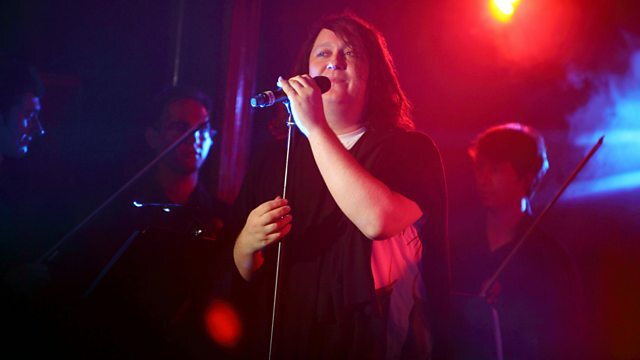 Mary Anne continues her conversation with ANOHNI, former lead singer of Antony and the Johnsons. They discuss her new album for 2016, 'HOPELESSNESS', and why she chose to go solo. ANOHNI started out as part of the performance art collective 'Blacklips' while studying at New York University. After securing funding to direct her first play, The Birth of Anne Frank, she formed her first band, Antony and the Johnsons. The group went on to release four albums and numerous EPs, the second of which, 'I Am A Bird Now', won the 2005 Mercury Music Prize. Tune in to hear stories about some of our guest's most famous collaborators, Björk, Lou Reed and Bernard Butler, and her plans for 2016 under her new "spirit name" of ANOHNI.